Challenge yourself with 100 addictive levels! Challenge yourself with 100 addictive levels! Each level features a unique and beautiful card arrangement. You will feel like royalty as you are immersed in gorgeous backgrounds and a soothing soundtrack. You will also be given the chance to win trophies and awards for different achievements throughout the game. 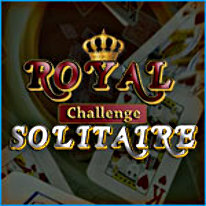 Enjoy two game modes in this royally fun and addictive solitaire game!